This entry was posted in Hip Music and tagged Built To Spill, concerts, Hip music, hipster approved, Macklemore & Ryan Lewis, Mumford & Sons, Primus, Sasquatch, Sigur Ros, The Postal Service by HipsterApproved.net. Bookmark the permalink. 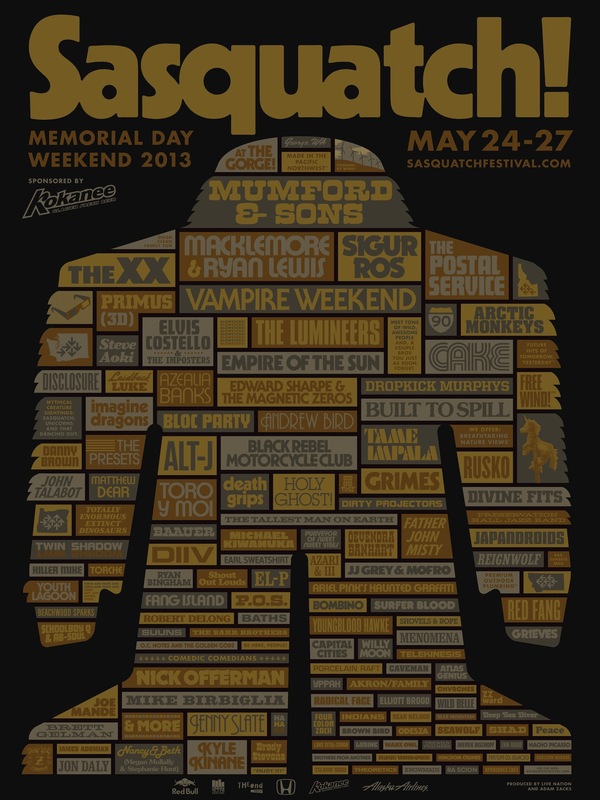 Nice lineup…love me some Tame Impala. Really? I’ll have to check them out. Never heard them. If you like the Beatles, they’re pretty close. Wow! They DO really sound like the Beatles, but a bit ‘jammier’ (which is a GOOD thing). They’re AWESOME! Thanks for hipping me to them. They have some great tunes….glad you like them. Another good band is Quest for Fire. Also this song….live from my town.